The upcoming Terminator film, which is said to be a soft reboot of 1984’s The Terminator, has a title now. Directed by Deadpool 1 director Tim Miller, the movie is called Terminator: Dark Fate, according to IGN. This film, which brings back James Cameron as a producer, will ignore every Terminator film after 1991’s Terminator 2: Judgement Day. So bye-bye Terminator 3: Rise of the Machines, Terminator Salvation, and the most recent, Terminator Genisys. Just as well, since Cameron was not involved with these films. Cameron had kick-started the franchise by directing the first two films, both of which were huge critical and commercial successes. Arnold Schwarzenegger, as he promised, is back as the lethal android, T-800 “Model 101”. Though it is not clear if his character will be antagonistic (like in the original film) or a protector of the protagonists (as in the sequel). Linda Hamilton will also reprise her iconic character Sarah Connor in the new film. Jude Collie plays humanity’s future saviour, John Connor. Mackenzie Davis, Gabriel Luna, Natalia Reyes, and Diego Boneta are also a part of the cast. While speaking to The Hollywood Reporter, Cameron had said of the movie, “This is a continuation of the story from Terminator 1 and Terminator 2. 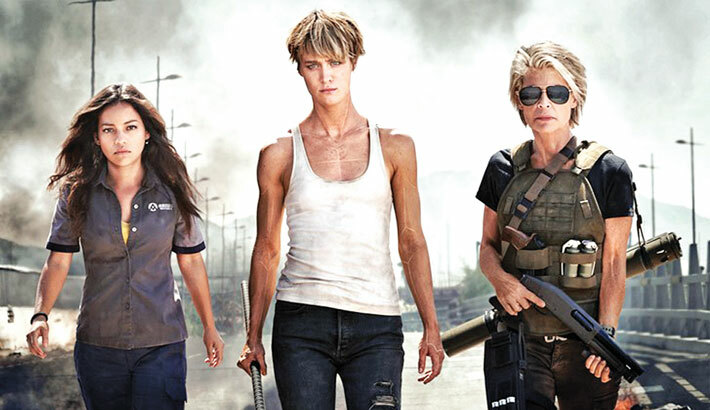 Terminator: Dark Fate is scheduled to release on November 1, 2019.